1. 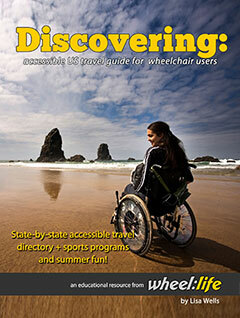 What are the most popular wheelchair sports? Many sports have been adapted to be played by those in wheelchairs. Among the most popular are handcycling, basketball, tennis, softball, badminton and wheelchair racing. 2. What are handcycles used for? How can I try one? Handcycles are used in place of regular wheelchairs for aerobic workouts, casual rides and distance racing. 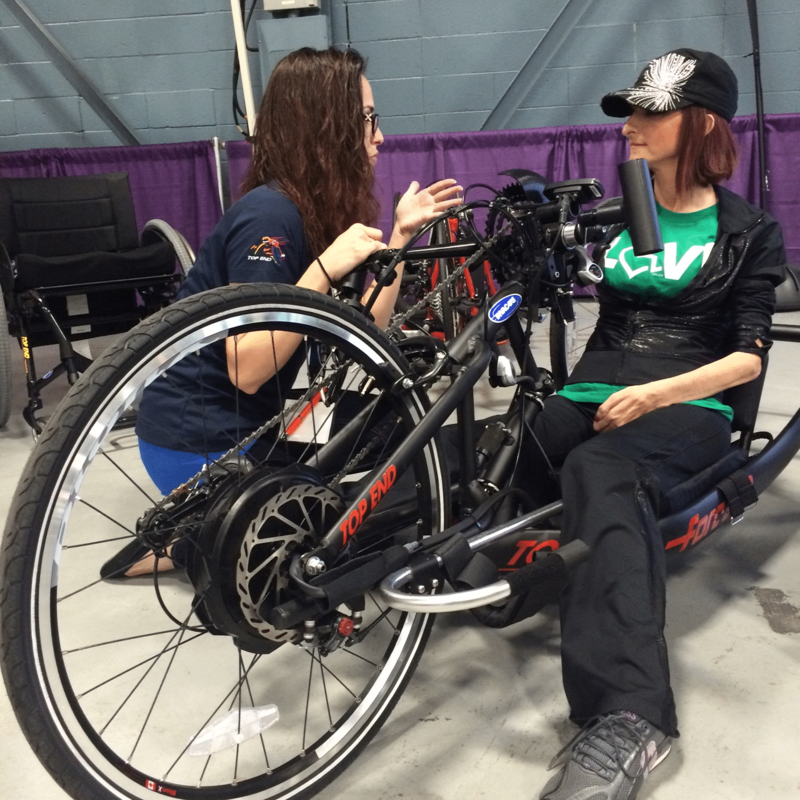 The best place to try out a new handcycle is at an Abilities Expo, an organized event, a race, or at a handcycle test center. 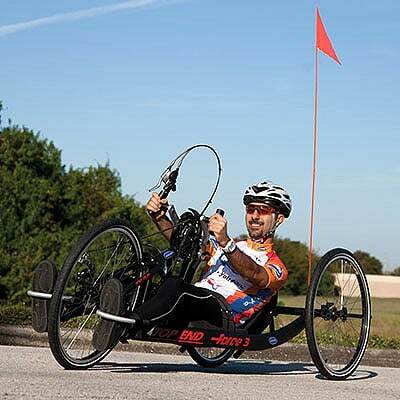 Some organizations, such as Adapted Adventures, National Abilities Center, RAMP (Recreation Access Motivating People), BORP (Bay Area Outreach & Recreation Program) and Achilles Track Club have fleets of handcycles available to test. 3. What types of handcycles are out there? Which kind is right for me? Handcycles are typically divided into two categories: competitive and recreation styles. If you want to get an aerobic workout or ride for fun with others, you should start off with a recreational handcycle. These handcycles are low maintenance and usually less expensive, such as the Invacare® Top End® XLT Handcycle. If you want to compete or are thinking about eventually racing then the competitive models are best for you, such as the Invacare® Top End® Force™-3 Handcycle. 4. I want to try a 5K for fun. Is there any alternative to buying a specific racing wheelchair? Yes—many options exist for those who want to compete in short or more casual races. Some wheelchairs offer adapters that fit onto your current sports chair. 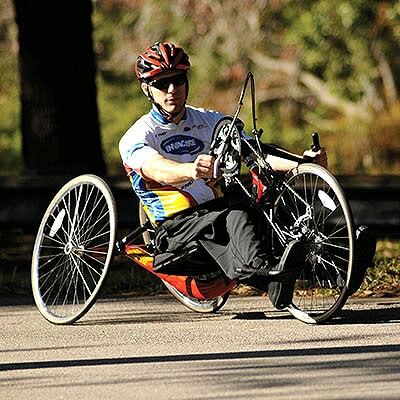 If you already have the Invacare® Top End® Pro™-2 All Sport Wheelchair, all you need is the Freewheel 5k Adapter and you’re on your way to some 5K fun. Sports experts at Top End are available to answer your questions, both via their website and also at events like the Abilities Expo. 5. How is wheelchair tennis different from traditional tennis? What type of wheelchair would be best suited to use for wheelchair tennis? Wheelchair tennis is played essentially in the same way that able-bodied tennis is played, except wheelchair tennis allows for two bounces of the ball instead of one. Chairs especially made for tennis are recommended for serious athletes. Look for one which offers quick adjustments so you can tailor your chair to your needs between matches. 6. How is wheelchair softball played? Where can I join a team? Are there wheelchairs out there specifically for this sport? Wheelchair softball is slow pitch and uses a 16″ softball. The 16″ ball is a little softer than the 12″ and is easier to catch bare-handed. 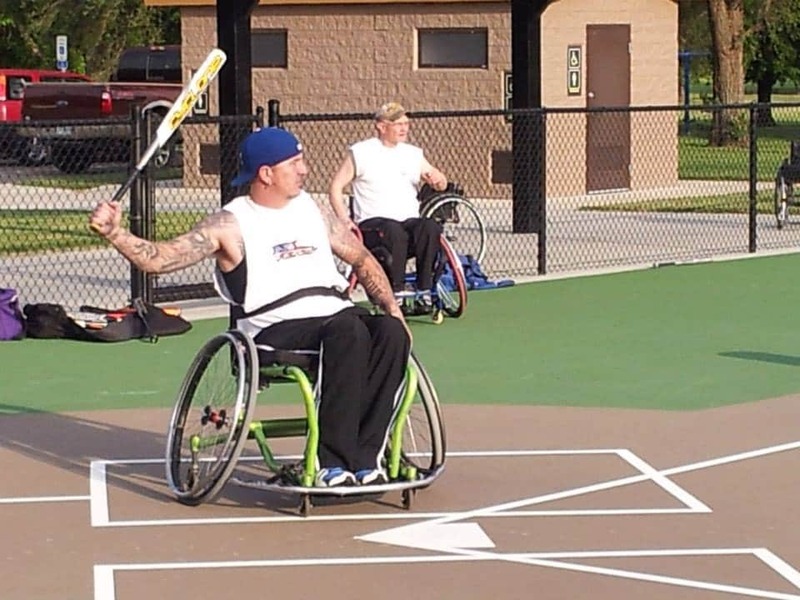 Wheelchair softball is played on an asphalt or concrete surface to allow for easier movement. Gloves are typically only used by the first baseman and sometimes the pitcher to allow for maximum pushing ability. Michael Gets Out & Enjoys Life with wheelchair softball. Photo courtesy of 2014 GOEL Campaign. All the teams are listed on the National Wheelchair Softball Association’s website, which is www.wheelchairsoftball.org. Chairs used in softball rely heavily on personal preference, however, an all-sport wheelchair not only lets you play softball, but other sports as well. 7. 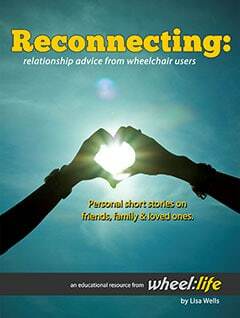 Is there a wheelchair available that “does it all” for playing more than one sport? 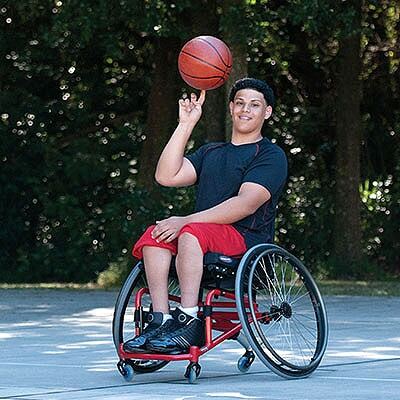 Yes—the Top End Pro -2 All Sport Wheelchair is a great chair not only for basketball but tennis, softball, badminton, floor hockey, or any other sports played on a hard surface. There is also an optional Freewheel 5K attachment that allows you to participate in a short road race. Your link for the Freewheel 5k Adapter is broken and I’ve searched all over and can’t find it on the web anywhere.